It's such a welcome and familiar sight--the Main Street station, starting point for a grand circle tour around the Magic Kingdom. It's a great way to ease into the Happiest Place on Earth, or a wonderful way to end a magical day. 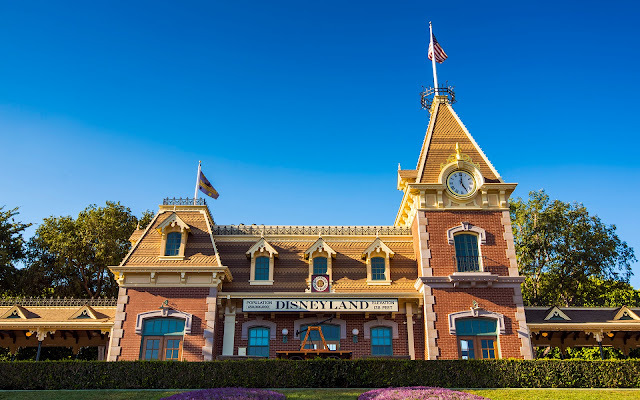 Here is the most outward manifestation of Walt Disney's love of trains--a charming, turn-of-the-century railroad station that harkens back to the days when rail was king. At least here, at Disneyland, it still is. The lovely Disneyland Railroad Main Street station immediately greets guests entering the park.